……. This one is more difficult to explain, but I have found that too many people mistake trying to keep an Image, even a reputation, for having a passion, a purpose. The difference is that the need to keep an image, a look, a reputation is purely extrinsic. It depends only on how others see us. There is nothing inherently wrong with that. However too often do I see people put so much time and money into an image, that it decreases the overall quality of their life. The truth is, when this happens it is because the need to project that image stems from insecurity. These people need that constant validation from their peers to fill that hole of insecurity in order for them to feel good about themselves. I see it all the time. Passion, on the other hand, is purely intrinsic. To clarify, our reason for doing what we do stems from an internal desire to do it. True, doing it may be fueled by how what we do effects other peoples lives, but that is not the same thing as the validation insecurity requires. Oh sure we have. We just probably didn’t know it when we saw it. 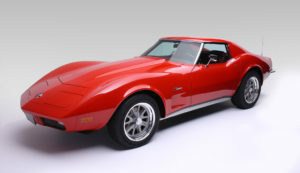 Mike buys for himself a nice beautiful Corvette. He washes and waxes it weekly. Takes it to car shows. Cruises Main St extra slow with the top down so everybody can see him. Hangs out at local events to pick up the chicks with it. Kevin buys for himself a shell of a Honda. He spends lots of time and money on parts and reconstruction for his vehicle (as much as Mike did for his Corvette). He spends the majority of that time underneath the car while it is jacked up, or under the hood. Eventually when the construction is complete, he competes in races with the Honda. Kevin enjoys hearing the growl of the engine. Mike enjoys hearing the compliments and fascination from people about his car. Kevin loves the adrenaline rush he gets from racing on the track. Mike doesn’t go very fast, as he is only riding on the same roads commuters do, and therefore has to follow the same traffic laws. Kevin gets excited when he has the opportunity to do an upgrade on a part and put in some “under the hood” time. Mike can’t tell you how anything under the hood works. Kevin is always looking for new ways to improve his Hondas performance. Mike wants to do as little as possible to keep the Vette running well. By now my point should be clear. In the end, those that are driven to project a certain image are far more interested in earning the approval of others, than in the very thing they claim to be “passionate” about. The object is just a means to feed some ego, or some insecurity. These people are easy to spot because their “passion” is purely cosmetic in nature; it’s all for looks, for fashion. Passion is not about image, but personal fulfillment, a sense of purpose. 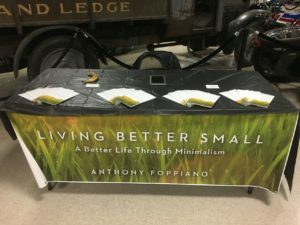 Passion involves us doing something that makes us feel good, not simply having something we are proud of (the uselessness of pride is another topic for another post). People who are truly passionate about something do not require approval, envy, or admiration. They do however require some support, some encouragement (as do we all). The things in our lives that take time/money/space which are image-enhancers disguised as passions, are just another type of clutter. We’d be much happier getting rid of them, and the ego/insecurity that brought them on in the first place.